Dr: Dhole and his colleague, Professor Ramesh, have been analyzing one of the most deadliest disorders to affect teenagers for over 10 years first hand. 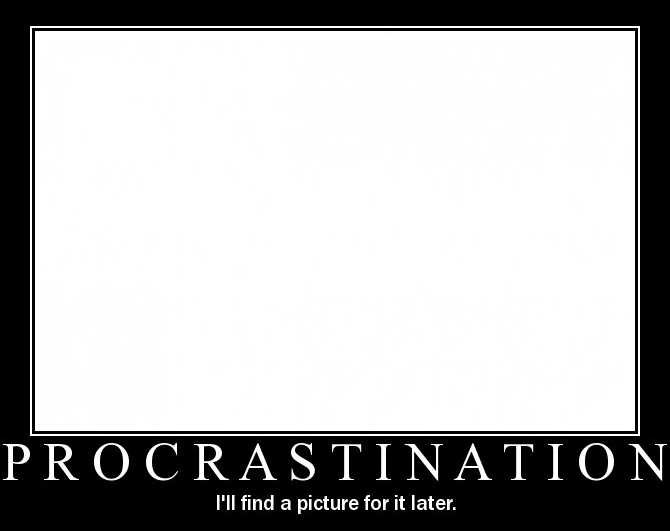 This horrendous disorder is called Lackoffocusandmotivation syndrome, more commonly referred to as "Procrastinating Syndrome." This disease has been known to affect children as soon as they enter grade school, although certain cases have been reported that the syndrome affected students prior in Pre-k. However, it's affects are most noticed during the teenage years, more commonly during high school progression. some of its symptoms include distractions, stalling to do homework, false justifications (lack of time, too hard, dumb), overactiveness on social networking sites (facebooking, tweeting, formspring...ing), and an overall lack of time management. These symptoms have become predominant in high school students, and worse yet, during the AP testing weeks. Students, knowing that the tests will be proctored 5 months in advance, have chosen to relinquish all studying opportunities prior to the testing session, and waited until the last day to "cram" all the years information. Dr.Dhole and his colleague Professor Ramesh worked on decoding the concept of "cram," and have uncovered the secret which was unknown to scientists, but well experienced by youth. R - Really tired at 4 A.M.
A - All my friends are on facebook! The concept of "cram," used in the tense of, "cramming," to show a current action, has been the downfall of many teenagers and students alike. Due to one of the symptoms, lack of time management, students realize that a project will be due within a weeks time, and so they put it off until the night before thinking that they have time. However, as they are doing the assigned task, they become "distracted" with moving animals (their 23 cats), shiny objects (Ooooh, I can see myself in my calculator screen), social networking (OMG OMG OMG, LIKE, MY BFF JUST UPDATED HER STATUS!! ), and lastly, the temptations of the fridge/freezer. 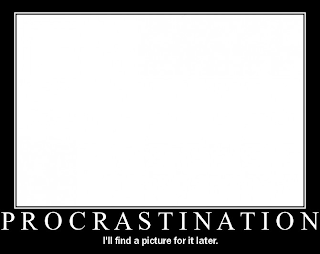 Everyone has done it before, so for all you know, you may be suffering from "Procrastinating Syndrome" already! The student is in the middle of their "cram" session, when out of the corner of their eye (distraction), they notice their fridge/freezer (Shiny object for stainless steel, or moving objects for a running fridge - like the play on words?? ), and their attention to their homework assignment due in the next three hours is diverted to the possibilities behind the fridge/freezer door. The student then slowly approaches the fridge/freezer, all the while contemplating on the wonders that behold them, and then they open the door. Take a quick glance, shrug, and go back to their homework. Seems innocent enough?? Wait for it.... The student, deeply engrossed in their homework like a GOOD student should be, notices the fridge again, and begins the get up. At this point, the student has revered the fridge/freezer so much, that in their mind, the fridge/freezer is capable of absolutely anything! Including surrogating its contents. The student approaches the much revered door, slowly opens it, looks inside for anything that might have changed, shrugs, and goes back to their homework. Studies have shown that in a day, the average teenager diagnosed with "Procrastinating Syndrome" performs this cycle a minimum of 193 times within a day. So if you feel like you might suffer from this syndrome, count the number of times you go to the fridge every day. If it falls within 190 of the average number, you are a procrastinator! At the moment, Dr.Dhole and Professor Ramesh are working on finding the cure for "Procrastinating Syndrome" and are close to emerging unto a breakthrough. Follow ups on their progress will be made periodically. * If you feel that you have exhibited symptoms of "Procrastinating Syndrome," call our 24-hour hotline to talk to one of our specialists, you may have a claim to compensation. Our number is 1-800-GOBACKANDSTUDY!